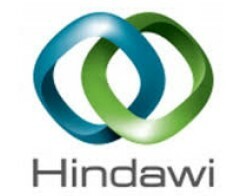 The Hindawi Publishing Corporation is a scientific magazine publisher, founded in 1997 by two Egyptian scientists. Hindawi currently publishes (as of September 2012) more than 400 peer-reviewed journals and some scientific monographs. The company has offices in New York and Cairo. It is one of the pioneers of the Open Access movement , which aims to make scientific literature accessible to all interested parties. Hindawi is one of the first publishers to publish exclusively according to the standards of Open Access (since 2007). Printed journals are available for a fee. Some of Hindawi's editorial practices are criticized, such as the fact that Hindawi magazines do not have a scientific editor-in-chief and are instead controlled by Hindawi's editorial staff, as well as the use of spam for the acquisition of manuscripts and editors.